The throttle pressure that is applied to the primary regulator valve (which modulates the line pressure) causes the solenoid valve slt, under electronic control, to precisely modulate and generate the line pressure according to the extent that the accelerator pedal is depressed or the output of engine power. This controls the line pressure and provides smooth shifting characteristics. Upon receiving a signal of the throttle valve opening angle, the ecm controls the line pressure by sending a predetermined duty ratio* to the solenoid valve, modulating the line pressure and generating throttle pressure. *: The duty ratio is the ratio of the current on time (a) to the total of the current on and off time (a + b). In any forward position, when the difference between the revolutions of the turbine and output shaft exceeds the specified value (varies with output speed) determined by the ecm, the ecm illuminates the mil and outputs the dtc. 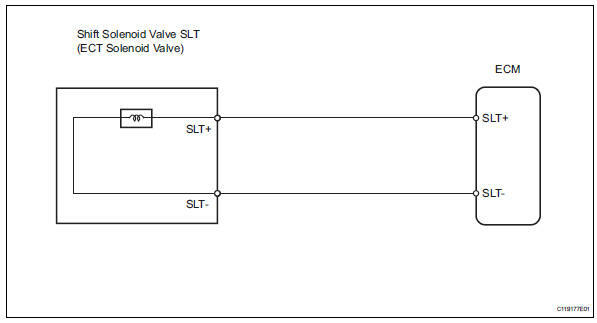 When shift solenoid valve slt remains on, the oil pressure goes down and the clutch engagement force decreases. 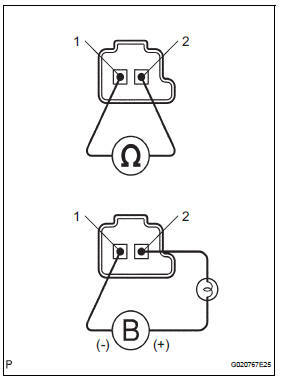 The following conditions are common to on malfunctions (a), (b), (c) and (d). *: "Solenoid (slt)" in the active test is performed to check the line pressure changes by connecting sst to the automatic transaxle, which is used in the hydraulic test (see page ax-16) as well. Please note that the pressure values in the active test and hydraulic test are different. 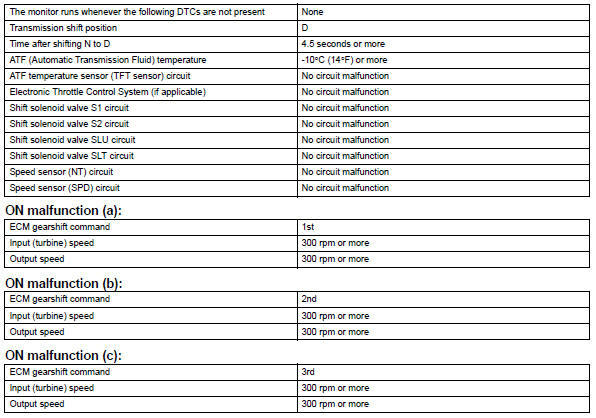 If any other codes besides p2714 are output, perform troubleshooting for those dtcs first.